Chuck Dixon‘s footprint on the world of comics is Hulk-sized. He’s had extensive runs on Batman, Punisher, Alien Legion, and Airboy. He’s also had his hands in lots of other titles including playing a significant role in the development of the Crossgen Universe. 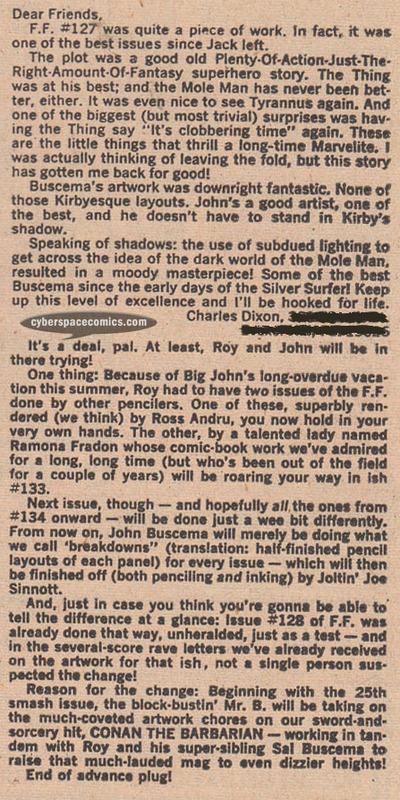 He got a letter printed in Fantastic Four #131 (cover date – February 1973). In the letter, he reveals that he was about to quit reading Marvel Comics but, Fantastic Four #127 convinced him otherwise.